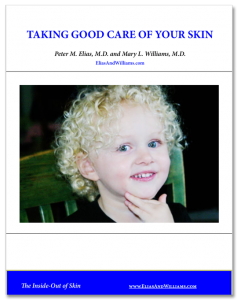 Featured in Allure May 2013 Issue - Elias and Williams: The Inside-Out of Skin by dermatologists and skin researchers Peter M. Elias, M.D. and Mary L. Williams, M.D. Our work on antihistamines and the skin also featured in the May 2013 issue of Allure magazine. This work demonstrates that these commonly used drugs are applied directly to the skin they can improve the function of the skin barrier and also have potent anti-inflammatory effects. This work holds promise for the development of new treatments for common skin disorders like atopic dermatitis and psoriasis.